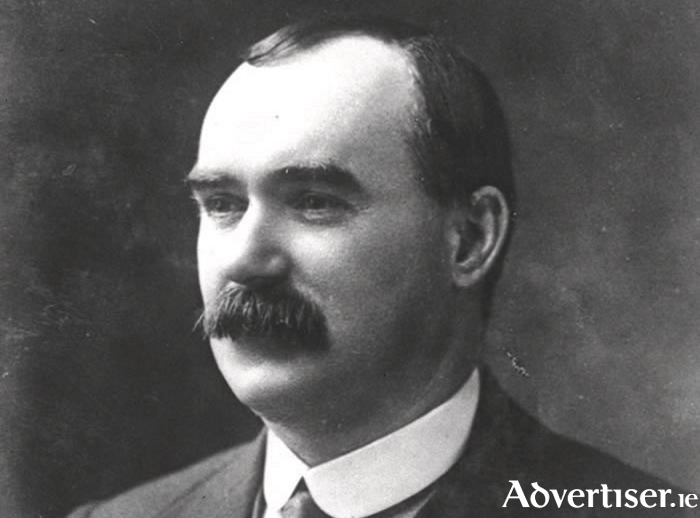 These revolutionary words come from editorial Connolly' wrote for the Workers’ Republic newspaper on April 8 1916. At this point he was also the leader of the Irish Transport & General Workers’ Union, and was unapologetically a Marxist Socialist. For that very reason, after the Rising, the Irish Independent shamelessly campaigned for Connolly’s execution. The newspaper was owned by the powerful businessman of 1913 Lockout infamy, William Martin Murphy. On May 10 1916 after a break in the executions, it was felt Connolly would not be executed. However, the Irish Independent published his photo and editorialised “Let the worst of the ringleaders be singled out and dealt with as deserved.” The British acceded to the call. On May 12 Connolly was carried to the execution yard in Kilmainham Prison, propped up against a wall and shot. With the killing of Connolly and Padraig Pearse the radical revolutionary movement had been beheaded. Later the Free State Justice Minister Kevin O’Higgins would gloat: “We were the most conservative revolutionaries in history.” Those who took control of the Irish State suppressed Connolly’s political and economic ideas. O’Higgins ensured that the influential Liam Mellows, who recognised the significance of Connolly’s Marxism, would be executed. Seventy-six other Republican prisoners had a similar fate. On June 5 we mark the 150th anniversary of Connolly’s birth to Irish emigrant parents in Edinburgh (for a detailed biographical account see the newly republished classic The Life and Times of James Connolly by C Desmond Greaves ). Although Connolly lived a century ago, his ideas and insights remain as relevant as when they were penned. On women’s rights, an issue central to the recent referendum campaign, Connolly was an avowed feminist. In the Reconquest of Ireland he describes working class women as “the slave of a slave”. In his use of language, he rarely employed the word “men” to denote all of humanity, testifying to his view of women as equals and partners in the labour movement. He envisioned women and men side-by-side building a socialist future: “None so fitted to break the chains as they who wear them, none so well equipped to decide what is a fetter. In its march towards freedom the working class in Ireland must cheer on the efforts of those women who, feeling on their souls and bodies the fetters of the ages, have arisen to strike them off, and cheer all the louder if in its hatred of thraldom and passion for freedom the women’s army forges ahead of the militant army of labour." While Connolly expressed optimism regarding the future, he remained a realist, accurately predicting Ireland’s partition would spawn a “carnival of reaction North and South”. This materialised with a “Protestant state for a Protestant people” in the Six Counties and Southern governments too often tied to the frocks of the Catholic hierarchy. In contrast, to those “most conservative revolutionaries”, Connolly did not fear the pulpit. In 1910, Fr Kane SJ dedicated his Lenten lectures to a denunciation of socialism. Connolly’s reply in Labour, Nationality and Religion was the result. Connolly argued that socialism was a political and economic question, distinct from religious beliefs. Its theory was a science, like mathematics, which can be discussed without involving atheism or Christian dogma. He argued that socialism was compatible with religious beliefs. Marxism was a guide to action, not a dogma. Connolly applied Marx’s historical materialist method to Ireland’s history in one of his most famous works, Labour In Irish History, unfolding the social struggles of the Irish people. He noted: “Irish history has ever been written by the Master class – in the interests of the Master class.” In contrast to bourgeois historians, Connolly was scathing of Irish leaders such as Henry Grattan and Daniel O’Connell, and their betrayal of the people. This did not prevent, back in 2013, Galway members of the Labour Party – a party founded by Connolly in 1912 – help organise a pageant re-enacting O’Connell’s “monster meeting” at Shantalla’s Sliding Rock. Were they unaware of Connolly’s “A Chapter of Horrors: Daniel O’Connell and the working class” in Labour In Irish History? James Connolly’s views have been silenced within the national discourse, and also inside the Labour Party. This partly explains Labour’s consistent betrayal of working people and how it now deservedly faces extinction. Central to Connolly’s teaching was the need for national independence. It was no accident his first party was named: the Irish Socialist Republican Party (1896 ). Only a socialist republic would achieve true independence. However, Connolly also recognised – as did Lenin – that a national war against imperialism was a revolutionary act, or, as he put it “the first stage of freedom”, and the outbreak of the imperialist World War was the opportunity to take this step and simultaneously oppose Ireland’s involvement in that bloody battle between empires. This aspiration is as relevant today as the Irish people continue to pay the foreign banking debt imposed by our masters in Brussels and Berlin. Indeed, Connolly’s slogan, "We serve neither King nor Kaiser", opposing World War I, resonates uncannily in the present Brexit debate.